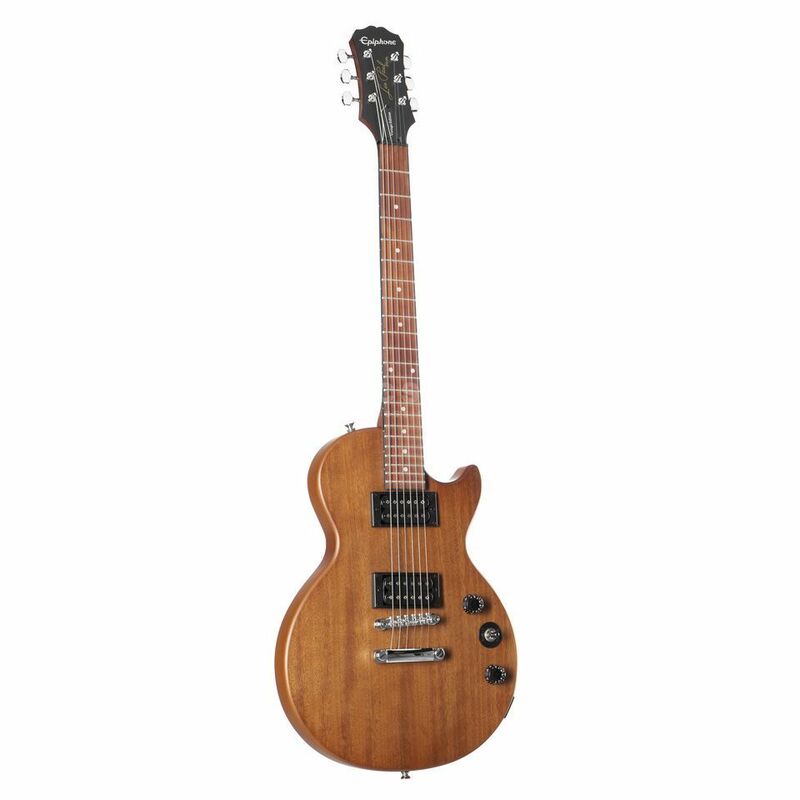 The Epiphone Les Paul Special VE electric guitar with a light-weight poplar body and Epiphone 650R and 700T open coil humbuckers is the recommendation for beginners as well as more advanced guitarists. From blues to rock to metal, this Les Paul provides the necessary steam, while the transparent vintage worn finish provides the right look. For that true LP feel, the mahogany neck of the Les Paul Special VE features the original neck profile of the Gibson Les Paul models from the year 1960. The slim 1960 Slim Taper 'D' profile allows easy-to-grip chords and clean scales as well as sensitive bendings and vibratos. A warm 650R humbucker in the neck and a hot-wound 700T humbucker in the bridge positions deliver the distinctive character of the Les Paul Special VE. The two pickups in the Open Coil design are perfect for rhythm and lead playing of modern styles and produce rich sustain and singing Les Paul sounds. The pickups are controlled via a 3-way toggle switch, master volume and master tone knobs.